The making of Let You Go has been in production since the duo’s first release back in June of last year, with their debut, self titled EP, which boasted hazy summer days filled with flower crowns and pink lemonade. Now in the Summer of 2014, the flower crowns and pink lemonade are back with a full, half an hour of dream pop goodness to fully depict the essence of a perfect Summer. 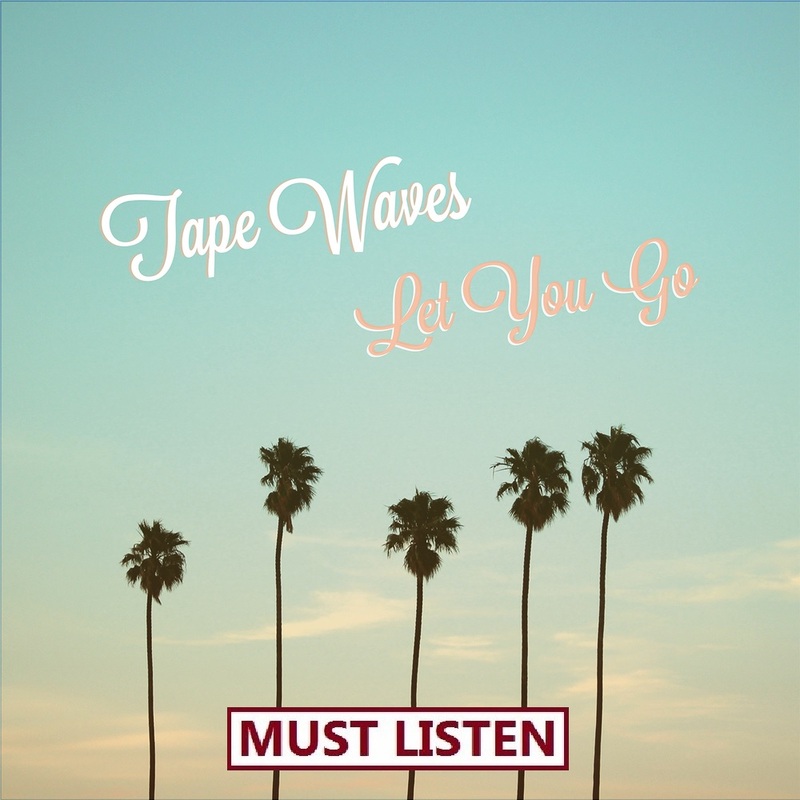 Let You Go manages to produce a collective of ten, insatiable dream pop tracks, that variate from chilled out sunset vibes to daylight drenched, beach fun. Every essence of the album, is kept as soft and pleasant as possible, to perfectly depict the Summer that everyone dreams of. Kim’s voice is the perfect narration for Let You Go, as her vocals gently glide over each and every track as her soft whispers perfectly match the pleasant tones that are maintained and mastered throughout the entire album. On the album’s grandest track, Let You Go, (which I described as “majestically beautiful and as picturesque as the sunset on a perfect summers day”,) effortlessly laid back guitar tones piece together Kim’s lyrics as the perfect song to announce your love for your significant other this Summer. A clear Summer night sky, with a quietly burning fire and a blanket is all you need to capture the true magic behind Let You Go. The ode to Summer love continues on throughout the album, with lead single, Stay All Night, layering kaleidoscopic beach tones, with layered vocals as delicately as possible, with the caressing breeze of a Summer wind appearing in the form of gentle pop music. On the album’s shortest tracks, Beachfront and All I Can See, the jingle of LA beach pop duo Best Coast becomes present, with less cats and more gorgeous presentation as the picturesque dream, of an empty LA beach front springs to mind when the breezy pop tones of both tracks, sway easily in between your ears, as the vocal-less Beachfront truly captures the appeal of an isolated beach, that you obviously want to share with your nearest and dearest. If Summer was the constant season on Earth, then Let You Go would very easily remain playable all year. But sadly, Summer is only a quarter of our yearly rotation. Let You Go however does retain a playability that surpasses the expiration date of August 31st. The dream pop tones of Let You Go can easily surpass the ties to Summer, with cosy nights, wrapped up in blankets with hot chocolate, just as long as your star gazing. It’s an album dreamers, for lovers of love, the hopelessly optimistic. An inspiration to live life with the goal of being happy is what makes Let You Go a true joy. Forget all of your commitments, and commit to being in love with life.